Property in Somerset West is still considered to be the more upmarket real estate option within the Helderberg Basin. Somerset West Properties offer a relatively broad range of properties from sectional title townhouses, a variety of older traditional free standing houses and modern homes, as well as sought-after secure residential estates including Bel'Aire, Schonenberg, Fernwood, Dennegeurand many more. One of Somerset West and the Cape’s iconic residential Golf estates, the Erinvale Golf Estate, needs little in the way of introduction in so far as golf estate living. For many years property in Somerset West was almost exclusively composed of freehold houses - however residential estates have started really increasing strongly as a segment within freehold from around 2005. Many suburbs within Somerset West offer residents the luxury of spectacular sea views or incredible mountain views. Having a property in Somerset West allows residents to live a fortunate and safe lifestyle and best of all you are in close driving proximity to the Cape TownInternational Airport and Cape Town. Somerset West property buyers entering the town are spread predominantly in the 30 to 60 age group with property sellers leaving the Somerset West area being mainly in the mature age category. Somerset West forms part of the Greater Cape Town Municipality. 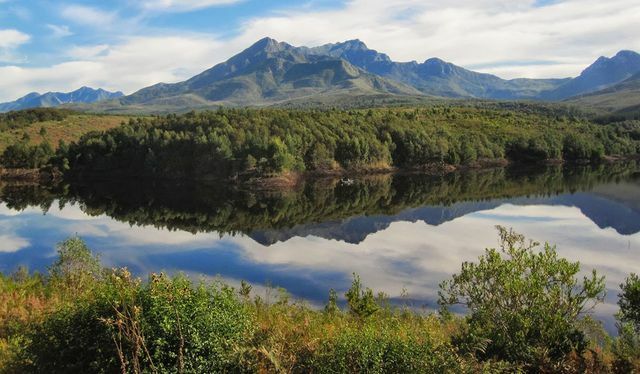 Somerset West is a scenic and beautiful town that is surrounded by mountains and the sea. The town dates back to the 1800's, and is named after Lord Charles Somerset. Vergelegen was the home of Simon van der Stel. Somerset West is now considered and recognised as the 'capital' of the Helderberg Basin. The Helderberg has numerous wine estates to boast and is in close proximity to the Stellenbosch, Boland and Franschoek wine routes. Vergelegen Medi-Clinic is centrally situated within the town. Somerset West is well known for several fine dining and traditional fare restaurants. Somerset Mall Shopping Centre is the biggest of the shopping centres within the area offering more than 200 retail shops including the normal big brands. Golfers are well catered for and Somerset West is home to the international standard Erinvale Golf Course as well as the Somerset West Golf Club.